I wanted to get around to to some performance improvements with Oracle TimesTen Database. 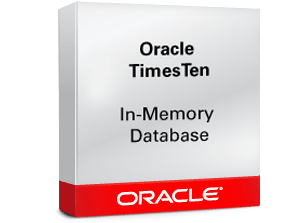 As you know, the Oracle TimesTen database creates a checkpoint file for persistence of the In-Memory database. In the event you need to load the database into memory, depending upon the size of the checkpoint, this can take some time. In release 11.2.2.8.0, database restart time can be significantly improved by enabling parallel threads to read the TimesTen checkpoint files. The setting only affects TimesTen startup times by reducing the amount if time required to read the database from disk. While this does not impact overall database performance, your load times and by default database restart time can be greatly reduced. As you can see in this example, the best performance was realized using 6 threads. While this might not always be the case in every environment, before just picking the largest number, do some testing to make sure that you are getting the optimal performance. As you explore way to improve your overall Oracle TimesTen experience consider using the CkptReadThread parameter and while you are at it, go ahead and put your checkpoint files on SSD/Flash disk. Come see me present on some other cool topics at Kscope16 in Chicago.